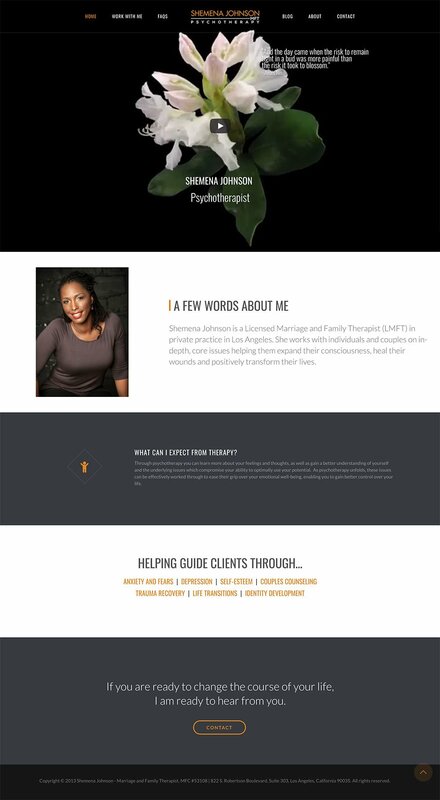 Shemena Johnson is a psychotherapist in Beverly Hills. She needed a new site that would focus on the user’s experience. Created in WordPress from a Template, the new site includes an video background in the header, and customized pages with specific Call to Actions for users.